The B201 provides a single powered initiating device circuit. 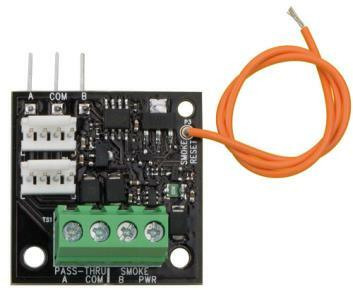 The module supports compatible 12 V 2-wire smoke detectors. The B201 is suitable for connecting powered, 2-wire fire or burglary devices. Use with a D132A Smoke Detector Reversing Relay Module for smoke detectors with integrated sounders.